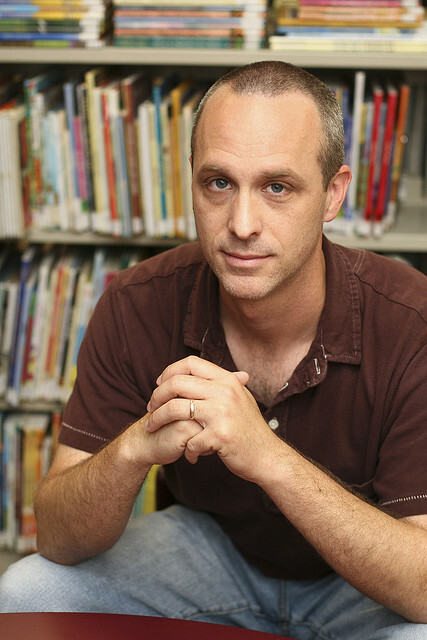 Trenton Lee Stewart is the American author of The Mysterious Benedict Society, which is the sort of book a library assistant might recommend to young persons who like warm humour, adventures, puzzles and fun. I asked him if he would do an interview with me by email, and he said yes. So here it is. 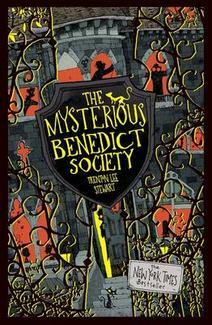 Can you sum up The Mysterious Benedict Society books for people who haven’t read them? After passing a series of mysterious tests, a diversely talented group of four children are recruited by a benevolent genius named Mr. Benedict to go on an important mission. The first book is about that mission and the children’s developing relationships; the second and third are continuations of the Society’s adventures. I read in one interview with you that the editing process for The Mysterious Benedict Society was quite arduous – was it the same for the other books in the series or did it get easier? The editing got easier with each book, in part because I’d learned valuable lessons about the process. But editing, even simple editing, is never easy for me. By the time I enter into final, substantive edits, I am fairly sick of the book and much too close to it – it seems both horribly flawed and horribly inflexible. Changing significant passages, however small, feels like digging up a coffin to repair a broken hinge. Unfortunately, repair is always necessary. There’s now a bit of a gap in the market for movies where kids with difficult home lives solve puzzles and save the world… Are there any plans for a Mysterious Benedict film? Do you think the books would work in that format? For all I know, the movies would be better than the books. It depends on how well they’re made. I do think the books contain elements that could lend themselves well to film. Evidently some producers feel the same way – the first book has been optioned a couple of times – but no one has taken the plunge yet to buy the rights and make the film. In the meantime they persist as books, which is gratifying enough, as books are my first love. Where is your favourite place you’ve ever been to promote your books? When each book is published, my American publishers send me to a number of different cities here in the U.S. to do visits at schools and bookstores. And when the first book was coming out in the UK, my publishers there (the Chicken House) brought me over to do a few events in Edinburgh, Newcastle, and London – all of which were lovely, I have to say. Have you ever got any unusual or particularly memorable letters from fans? I do receive a lot of letters, many of them memorable. One that springs to mind was from a boy who was convinced that I am Lemony Snicket writing under yet another pseudonym. He had “discovered” that the title of the first chapter in the second MBS book – “Lemon Juice Letters and Key Disappointments” – was an anagram for “Please, I Don’t Just Pretend, I Am Lemony Snicket.” I’ve also received letters from a group of girls who formed their own secret mystery-solving society, a girl who made puppets of my characters, and countless kids who include messages in Morse code that I have to decipher. I’ve just finished editing a novel called The Extraordinary Education of Nicholas Benedict, which is about the aforementioned Mr. Benedict when he was a nine-year-old, narcoleptic, genius orphan. What do you think you would have ended up doing if you hadn’t been a writer? I’ve always written, so in the sense that a person who regularly practices writing is a “writer” regardless of publication or financial reward, I would have to say that if I wasn’t a writer, I wouldn’t be myself, and who knows what that person would have ended up doing? But if by “writer” we mean “full-time writer without other jobs” – which easily could have been the case for me – then I can speculate with somewhat greater certainty: probably a professor of literature. You used to work in a public library, so how does it make you feel when there is talk of shutting them down and libraries becoming obsolete? This is a matter near to my heart, (as evidenced by the fact that libraries are often featured in the Mysterious Benedict Society novels). The public library is one of the greatest institutions in modern civilization. May its flame never be extinguished. What do you think of eBooks – are they going to overtake traditional print? How would you feel if they did? It seems inevitable that e-books are going to overtake traditional printed books; in fact, they’re already doing so. In some ways this is of benefit to literature. Every popular form of entertainment – music, films, video games, etc. – has become easily, even instantly, accessible to consumers. For many people, the notion of waiting for a book to arrive in the mail seems more and more cumbersome and inefficient, to say nothing of actually visiting bookstores. In this respect, the availability of downloadable, easy-to-carry personal libraries promises a future for the art of the written narrative. This gives me hope for literature. That being said, I love (and prefer) printed books, and I love bookstores. Both offer experiences that e-books do not, from the smell of ink and paper to the comforting sight of other humans browsing shelves, seeking knowledge. My hope is that their unique appeal will keep both alive indefinitely, even if they no longer dominate the literary landscape. It will be a struggle, though. It already has been one. I’ve just about finished William Boyd’s long novel Any Human Heart and am also reading short stories, most recently collections by Aimee Bender, Panos Karnezis, and the Israeli writer Alex Epstein (in translation) – all of them excellent. I got in touch with his publisher to ask if I could interview him so you could try getting in contact that way.